Contrary to what one might imagine, ensuring children are able to read with comprehension and carry out simple mathematics operations like subtraction or division is not an easy task. The delivery of these foundational learning skills in the education system via the classroom is complicated by a host of issues. To begin with, household factors such as income inequalities and variations in family background have a large bearing on a child’s level of exposure and ability to learn. Research suggests that disadvantaged children tend to have significantly lower cognitive skills, as compared to their counterparts. Once a child is ready to enter school, system-level factors, such as lack of investment in pre-primary education, teacher availability, timely availability of textbooks and prescribing adequate daily instruction time for literacy and numeracy, also affect student learning outcomes in the early years. 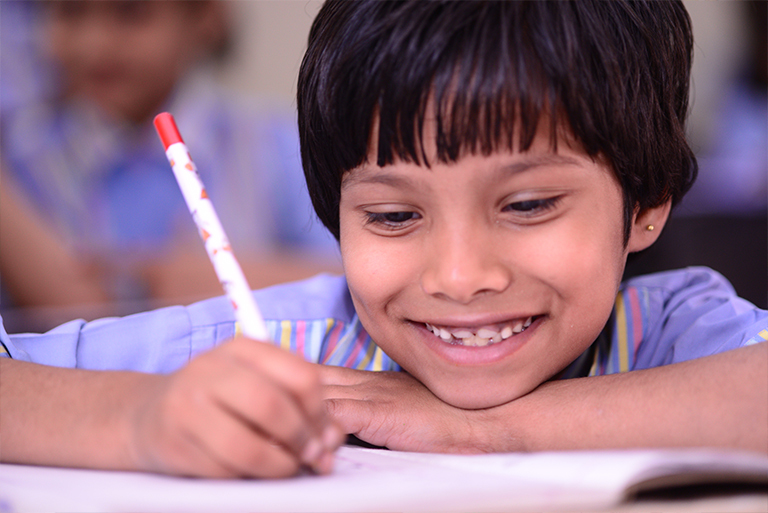 Disparate learning levels within the classroom: It is common to find students at different grade or learning levels sitting in the same class in a majority of Indian schools today. This makes it extremely difficult for teachers to provide targeted instruction to students. Home and school language differentiation: Studies have shown that children learn best in their mother tongue, as a foundation for bilingual and/or multilingual education (Jessica Ball 2011). India, however, has over 1,000 languages; and children often struggle to learn foundational concepts in an unfamiliar language as teachers find it difficult to provide instruction in their home language. Traditional classroom teaching practices: Delivery of education often tends to be teacher-centered, with children expected to remain passive and only listen. Many teachers also (erroneously) believe that all children do not have the capability to learn, thus teaching more to the ‘top of the class’ rather than the average student. The complex nexus of issues that contributes to low learning levels in the foundational years requires solutions in classrooms that are comprehensive, and a system that recognizes the severity of the problem and creates a supportive environment for these solutions to be effective. As we at Central Square Foundation began our efforts to find these solutions, we came across several organizations that are carrying out inspiring work in this space. We spoke to experts to understand the extent of these complexities in the Indian context today, and conducted secondary research to learn from both national and international programs that have shown some impact on learning levels. Our key learnings, presented below, identify crucial elements that we believe should shape any solution designed for foundational learning. We observed classrooms where to expand vocabulary, the teacher would encourage students to recall objects that they may have seen in their homes starting with a particular letter. Acknowledging the child’s local environment and including familiar words in the lesson’s instructional design often led to a more positive classroom environment, where students would speak to the teacher, read and engage in play-based activities. We found that providing teachers with supportive tools such as structured manuals allowed them to run the class more effectively. A common instructional strategy embedded in these manuals was the ‘I do – We do – You do’ model, where the manual prescribed a set of activities that required the teacher to first demonstrate and then perform together with students, before setting aside time for individual student work. These manuals also prescribed material that could be used by teachers to aid these activities, such as grid cards or an abacus. Students were simultaneously observed using their own workbooks, especially in the independent ‘You do’ time. Conducting regular formative assessments right after a topic had been taught gave teachers real-time feedback, enabling them to regularly check children’s understanding of a concept and reinforce concepts that were apparently weak. Many programs showcased innovative ways of building teacher capacity by creating forums to understand inherent teacher biases and assumptions. Trainings on how to effectively use tools to aid instruction in the classroom, as well as sessions to build teacher content and pedagogical knowledge were conducted through physical workshops as well as other mediums such as online courses, teacher networks, WhatsApp groups, etc. Teacher support was provided by putting in place need-based mechanisms, such as regular classroom observations by program officers and structured cluster review meetings where teachers could share ideas and concerns with each other. A program in Kenya used an app-based tool to monitor teachers on instructional delivery and simultaneously provide appropriate feedback and resources. Over the past six months, we have witnessed exceptional classrooms, interacted with teachers who had experienced a shift in mindset, conducted research, as well as engaged with people who have spent many years trying to understand the complexity of teaching and learning in the early years. Deeply inspired by RTI’s approach to early learning and Language and Learning Foundation and Dr Dhir Jhingran’s extensive work in this field, we have incorporated these learnings to carve out the 5Ts Framework, depicted below. We believe that this combination of the 5Ts – Teach, Tools, Test, Train and Teacher Support – is critical for any solution to achieve quality learning for every child in the early years. 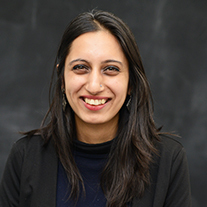 Avantika has been at CSF for over 3 years, and works to understand the elements of an effective early learning program that aims to improve instruction and teaching-learning in the classroom.